UPDATE: Read our review featuring the Bell Super 3r, too. Our kids have both hit their faces while falling off a mountain bike. A few years ago, we were making them wear their full-face helmets on any ride that was even slightly technically difficult. They hated wearing their hot full face helmets on cross country trails, but I was traumatized by visions of knocked out teeth and fractured jaws inspired by their previous falls. The Bell Super2R was a great solution for all of us. 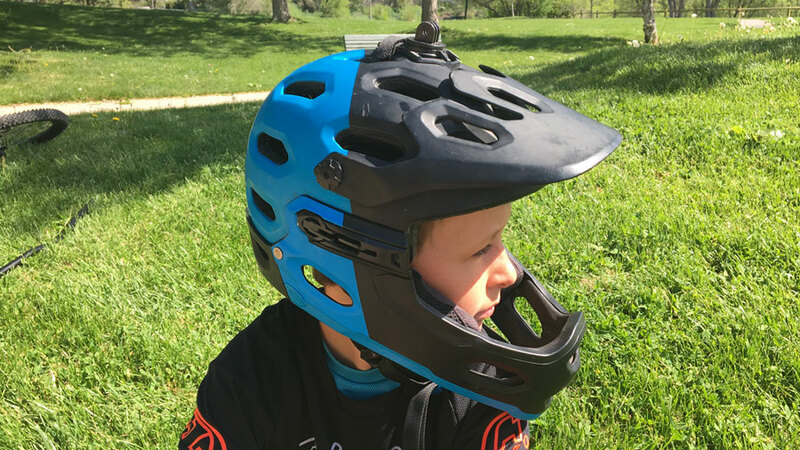 This helmet covers more of the head than a regular cross-country helmet – extending farther on the back, sides, and forehead. 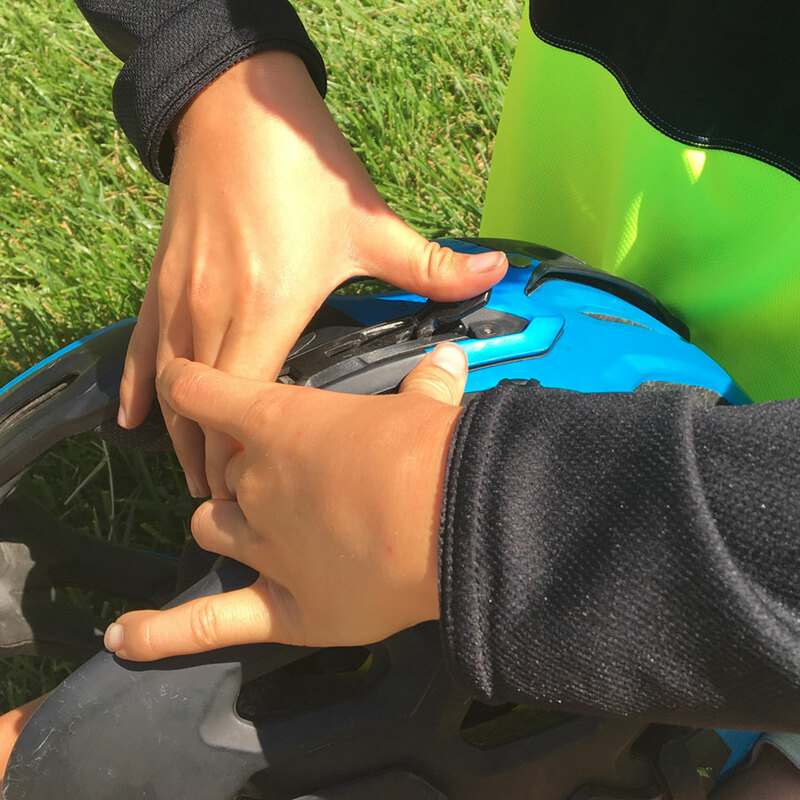 The helmets are comfortable and are easily adjustable to fit securely. The 23 large vents keep it much cooler than a traditional full-face helmet. 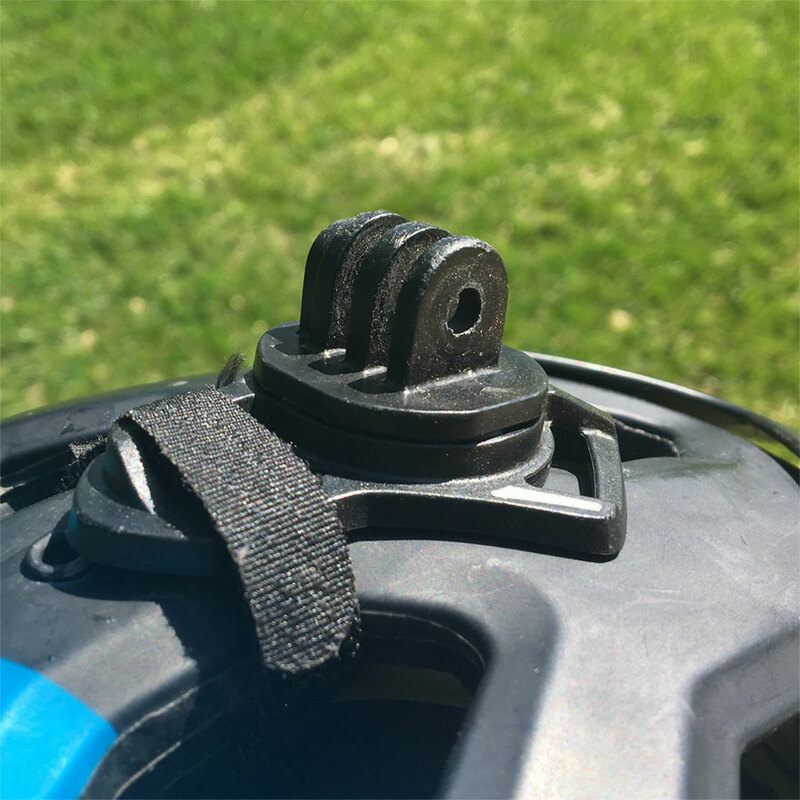 We love that the removable chin-bar can easily be secured hydration packs (and can fit inside a small backpack) for the climbing portion of the trail. The bar can snap onto the helmet while you’re still wearing it, but we usually are not in that big of a rush. There are three lever buckles that secure the chin-bar to the helmet. 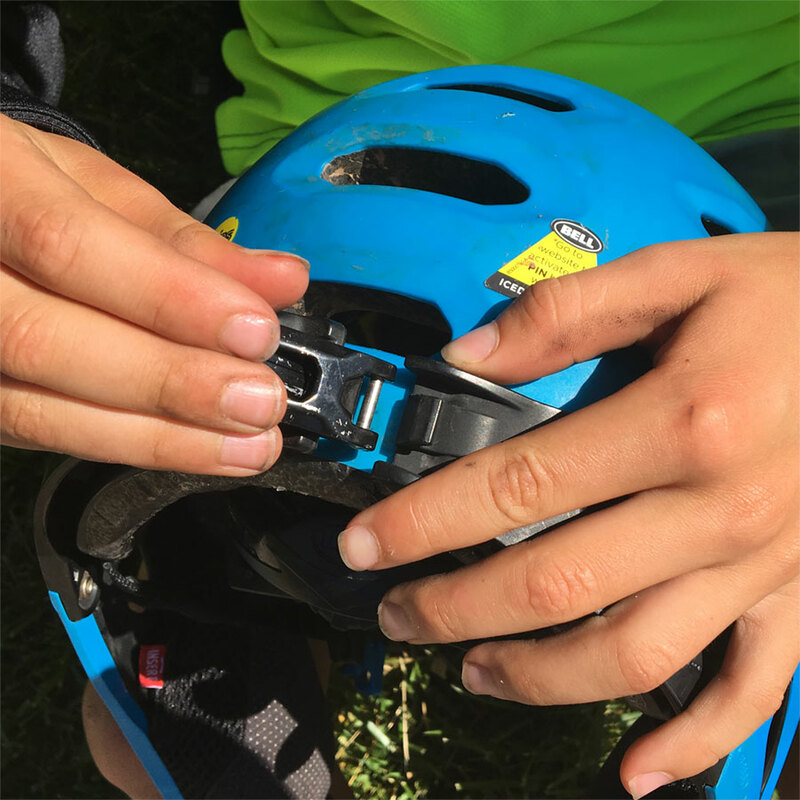 These latches are easy for the kids to do by themselves, but it is possible to close the latches without having them secured to the helmet, so it’s a good idea to give the chin-bar a tug before you start to ride. Once the chin bar is snapped on, the helmet feels very solid. 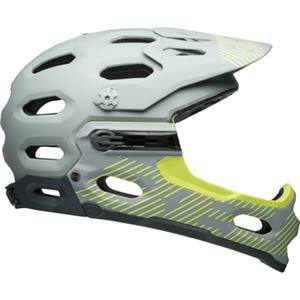 Bell Super 3r MIPS available for kids and adults at Backcountry. 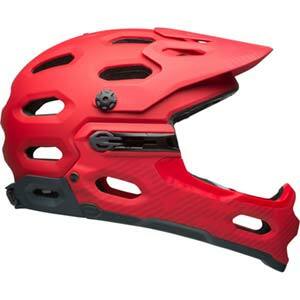 Bell Super 3r MIPS available for kids and adults at Jenson USA. These are affiliate links. When you visit them and make a purchase, we earn a small commission. More here. There’s a mount on the top of the helmet which is formatted for a GoPro camera. We also discovered that some light manufactures also offer adapters to fit this bolt-on connection. We have had these helmets for over a year. We have not had any problems with durability. Personally, I feel more confident on descents when I have the “face saver” chin bar snapped into place. Luckily we have not had the opportunity to test the ability of the chin-bar to protect the face in a crash yet (knock on wood). However, the Bell Super2R helmets are certified with CE EN1078 and CPSC standards, so I still feel that this helmet would be much more protective than a half shell in the event of a crash. These originally retailed for about $220 USD, but with the addition of the Super 3r recently added to Bell’s suite of products, prices have dropped. Stock and availability is limited now, though.